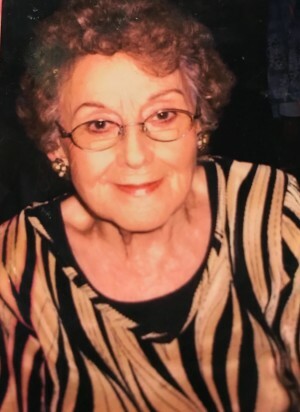 Shirley Fetters-Thomas -of Gallatin passed away, March 19th, 2019 at Cameron Regional Medical Center. Shirley was born on June 26th, 1935 the daughter of Dennis and Hallie (Stout Beisel) Campbell in Jefferson City, MO. She was married to John Thomas on September 30th, 2006 at the Daviess County Library. Shirley was a long time resident of the Gallatin area. She enjoyed spending time outdoors whether it be fishing, mushroom hunting, camping or hunting. She was known for harvesting her deer more often than not on opening day. Shirley felt most at home in the great outdoors. Her favorite place to be was the garden where she used her talent of a green thumb. Shirley was also known by friends and family as a fantastic crafter and oil painter. She could make anything into something beautiful. Her oil paintings are treasured and prized possessions focusing mainly on the great outdoors which she loved so much. She was quite proud of her chosen profession of nursing. She graduated from nursing school in 1971. Her legacy of nursing is continued through three generations starting with her daughter, granddaughter and great-granddaughters. Shirley was loved by all who knew her. She will be missed by many. Mrs. Fetters-Thomas was preceded in death by her parents and step-father, Clarence (Ky) Stout; brother, Gene Campbell; sister, Betty Atkins; sister, Jane Campbell; son, Gerald Snider and son, David Pearson Jr. Those left to mourn her passing are her husband, John; daughter, Debbie Woodley; daughter, Connie Henry; son, Rex Pearson; daughter, Julie Tate; 22 grandchildren; 20 great-grandchildren and countless nieces and nephews.